Richard Riordan is an American author who is best known for writing the Percy Jackson and the Olympians series. Riordan was born on June 5, 1964, in San Antonio, Texas. He started writing when he was a young adult, focusing on short stories and submitting a few of them for publication. He also edited his high school newspaper. Riordan never took writing very seriously until after graduating from the University of Texas. After graduating, he started teaching high school in San Francisco. For 15 years, Riordan taught English and history in different public and private high schools. According to Riordan, a bedtime story that he shared with his eldest son was the starting point of his own journey into the great world of the children’s books. Riordan was once asked by his young son, Haley, to narrate to him bedtime stories about gods and the heroes in the Greek mythology. At first he had stories to tell his son, but with time he ran out of stories. His son was very disappointed and even asked him if he could come up with something new, but with similar characters to his previous stories. Motivated by his son’s request, Rick Riordan managed to come up with the main character he named Percy Jackson. He told Haley about Percy’s long quest to recover Zeus’s lightning bolt in modern-day America. This story took three nights to tell and by the time Rick was done, his son suggested he should write a children’s book. Despite the busy schedule, Rick managed to get some extra hours out of his day to day life to write the very first Percy Jackson & the Olympians children’s book. In reference to his son, he decided to give character of Percy some attributes that hit very close to home. 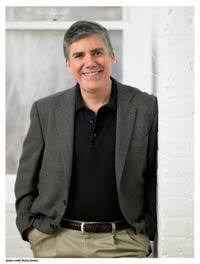 Rick Riordan has created several successful book series. His series, Percy Jackson & the Olympians was a major success. Twentieth Century Fox even purchased the film rights and later released a feature film based on the series in February of 2010. Following the series’ success, Riordan created The Kane Chronicles, which included The Red Pyramid (released in 2010), The Throne of Fire in 2011, and the final book, The Serpent’s Shadow, released in 2012. Riordan has also created a sequel series to his Percy Jackson books called The Heroes of Olympus. Its first book, The Lost Hero, was released on October 12, 2010. The second book, The Sun of Neptune, came out in 2011, and the third book in the series, The Mark of Athena, was released on October 2011. Riordan expanded the two series – The Kane Chronicles and The Heroes of Olympus – simultaneously. He also helped create another Children’s book for children entitled The 39 Clues. Rick Riordan decided to write a mystery novel which was set in his hometown of San Antonio and was published in 1997. His Tres Naverre series has already won three major awards for the mystery genre, including the Shamus Award for the Best First P.I. Novel that year. Despite his great success in adult mystery, Riordan still loves writing for children. He plans to publish another series based on Norse mythology in 2015. He currently lives in Boston with his wife and their two sons.